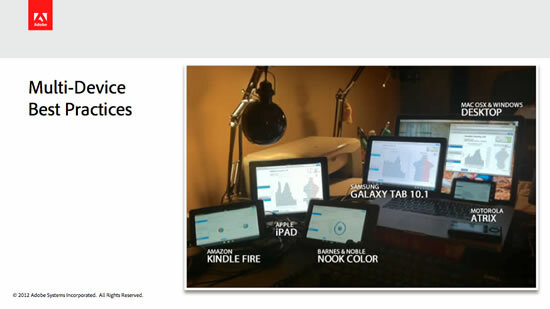 I recently spoke at the 360|Flex conference in Devner, CO on “Multi-Device Best Practices”. This presentation was focused upon multi-device & multi-platform development strategies for both PhoneGap and Flex/AIR applications. Below you can view my presentation slides and source code, and a brief summary. I also covered various libraries and techniques for making your creations feel like “native apps” instead of “web pages in a container”, and ways to make your apps look & feel “more native” for a given platform. Feel free to leave a comment with any questions.